Tears welled up in my eyes on a hot summer day in July as I watched my husband head out the door for the day. He was going back to work after spending four weeks together as a new family of 3. I remember feeling nervous, lonely, and terrified of being left at home alone with our sweet baby girl. Would I be able to do this without my husband? Could I manage 8+ hours without him every day? Fast forward two weeks – I SURVIVED – but not without the help of my mom, Netflix, and many frantic texts to my friends with children. With all the one-sided conversations I was having with my daughter and dog, I could not wait to see my doctor at the long awaited “6-week appointment,” hoping for medical clearance to work out again. I needed to get out of the house to interact with other adults. After all, I went from working 50+ hours a week, filled with the most amazing team of colleagues and challenging projects, to 24 hours a day of feeding, pumping, changing diapers (both baby’s and mine, HA), and trying to manage the crazy hormones associated with giving birth. 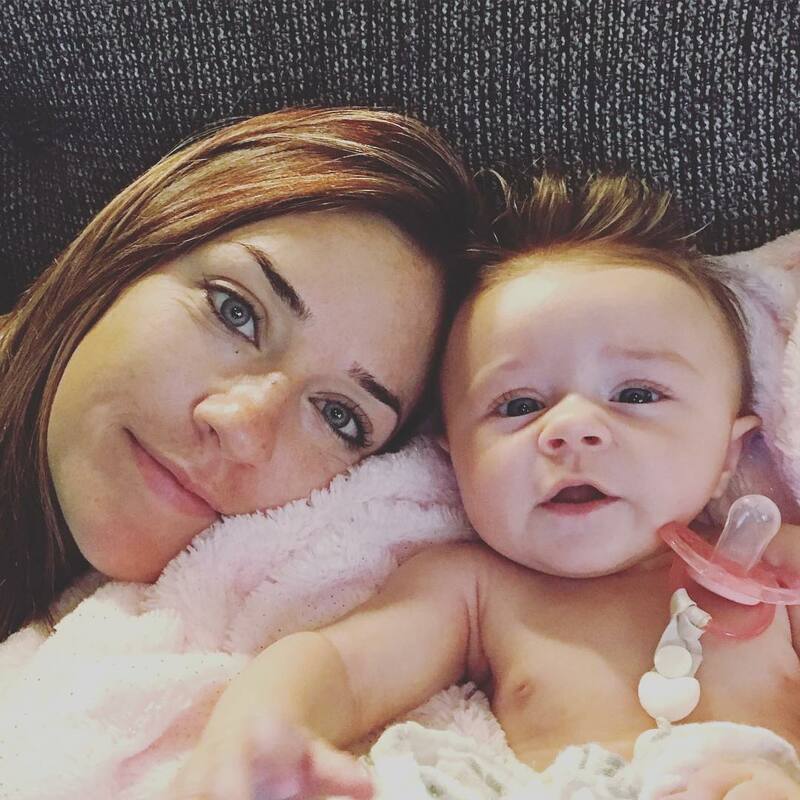 Being a new mom was a new kind of beautiful for me, but the long, quiet days and new mom anxiety paired with postpartum hormones, made me start to lose sight of who I was as a person. With my passion for fitness, and now the need to strengthen my mind, body, and spirit, the FIT4MOM program made a world of difference for me. I was so fortunate to have been able to work out during pregnancy into the start of my third trimester. In fact, if I didn’t break my toe in month 9, I probably could have worked out until the day my daughter was born. 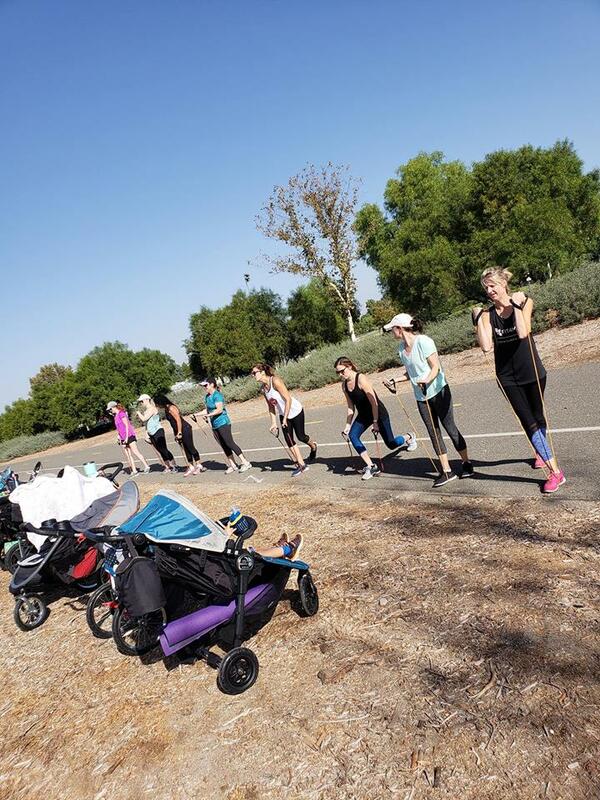 Their Stroller Strides® program was the perfect way to ease myself back into a workout routine while caring for my infant. I was finally out in sunshine with my sweet 6-week old, surrounded by other new and veteran moms, in a supportive and encouraging environment. Not only did the classes motivate me to get out of the house, but I quickly learned how to pack the diaper bag, plan for the unexpected, and do something for both me AND my new baby. The instructors and staff welcomed us with open arms from the very first email, and they haven’t stopped being supportive since. There is so much to becoming a new mom that people don’t tell you, and I am so thankful for the tribe of women I’ve been surrounded by in this program. FIT4MOM isn’t just a workout class for me. Each session felt like a dose of mom-to-mom group therapy. My husband and I unexpectedly lost a very close friend of ours in August, and we have had an incredibly difficult time working through the feelings of grief and loss, all while getting used to being new parents. I personally struggled with an overwhelming feeling of sadness and loneliness when my husband and friends went back to work a few days after we received the horrible news. I can honestly say that both FIT4MOM and my beautiful baby girl kept me afloat during days where I just didn’t want to get out of bed. These classes helped me through all the “hard stuff” I dealt with while on maternity leave, and I am now in a place where I feel confident to return to work. I’m excited to explore the more challenging class opportunities such as the Body Back® Transformation or Strides 360™ programs that will correspond with my work schedule. The thought of returning to my career as a working mom is no longer terrifying to me because the FIT4MOM program taught me that “I can do this” and I can be my own version of Wonder Woman every single day. To find a Fit4Mom group near you, visit their website!